The seductive appeal of sipping a drink ensconced high up on a rooftop bar never ceases to attract. Getting away from the din of traffic, looking down below at the chaotic streets, the hustle bustle of city life somehow always manages to elevate the mood, even though for a little while. 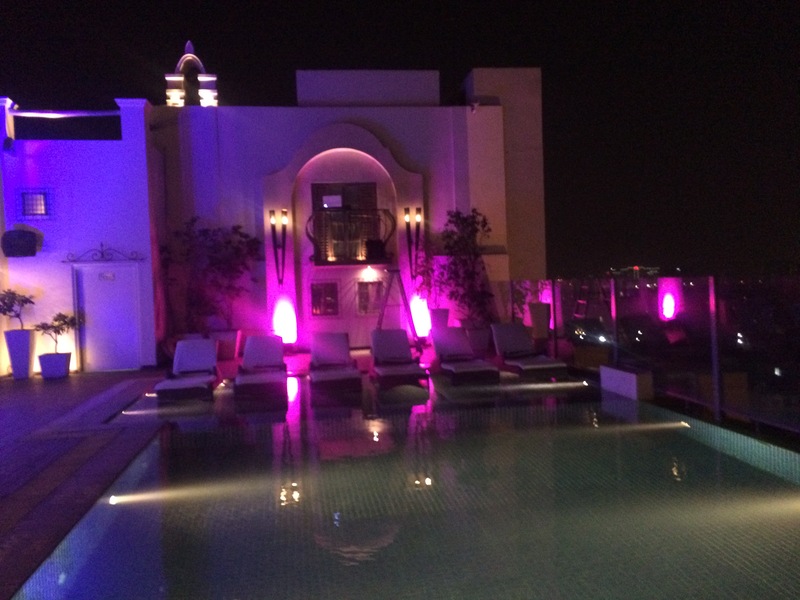 One such place in Delhi NCR where you can indulge in this pleasure is Vibe-The Sky Bar situated on the 10th floor of Hilton Garden Inn Baani Square, Gurgaon as I found out on my recent visit. The space incorporates a poolside terrace, an indoor bar, a small outdoor open air bar and a DJ console. Private cabanas add to the romantic appeal and a patch of astroturf gives a dash of green making you feel as if you are in a garden. There are enough heaters during winters to keep you warm. Overall it has a chic and contemporary look and feel. Vibe offers an expansive view of the Gurgaon skyline. Often hazy during winter months but you can still see the shimmering lights. There are some artfully constructed cocktails on the menu besides the usual classics. An interesting one I tried out was the Achari Mojito which had white rum, lemon, mint, club soda and achar or pickle. When the bartender took out a spoonful of pickle from a jar and began muddling it with the mint I really thought it would be a ghastly concoction. However it turned out to be surprisingly good with a perfect balance between tangy and sweet. This will appeal not just to the Indian palate but to those who wish to try out a slightly Indianized version of the classic mojito. The other interesting drink I was offered was the Bubble Gum cocktail made with bubble gum flavoured vodka, sweet & sour mix and egg white. Baby pink in appearance and decorated with jujubes, it had a pleasant visual appeal though I can’t say the same for the taste as I am not fond of sweet cocktails. Lakdi Ka Tarbooz, a smoked cocktail with vodka & chunks of watermelon was more agreeable to my palate. 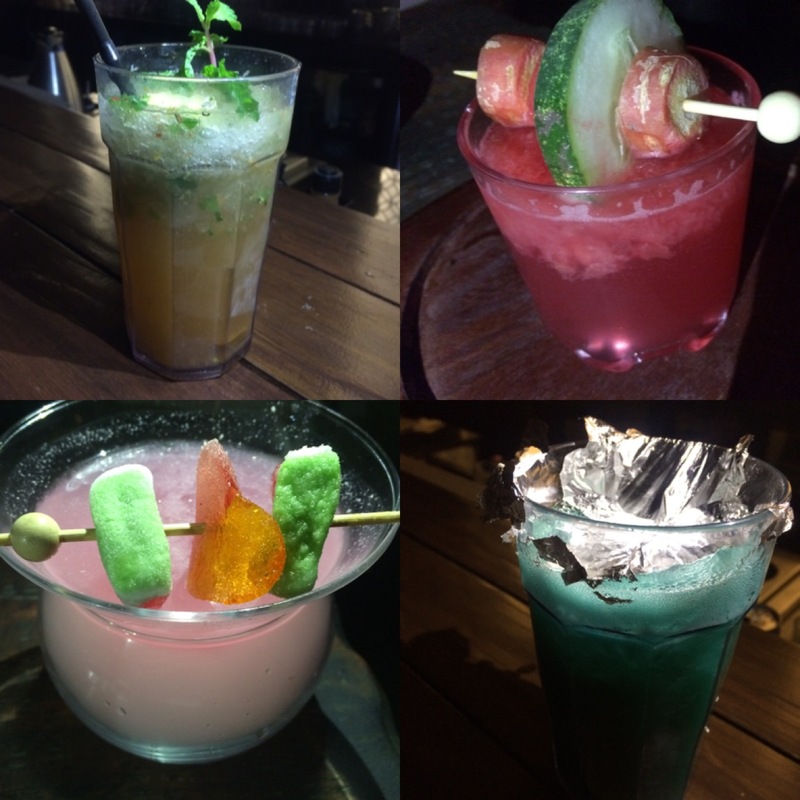 A lot of thought has gone into the making and presentation of each of the cocktails and one of the persons behind it is the F&B Manager Soumitra Lodh, who along with the mixologist, has come up with the perfect recipe for each drink after much trial and error. While you are there, ask the bartender to give you a taste of some of the cardamom and clove flavored vodkas. Along with the innovative drinks there are some delicious and rather unusual nibbles like the Blue Cheese Malai tikka with a refreshing tomato, olive and berry salsa and Sundried tomato & olive samosa. You could also go for the Raan burger in masala pav if you need something more filling. 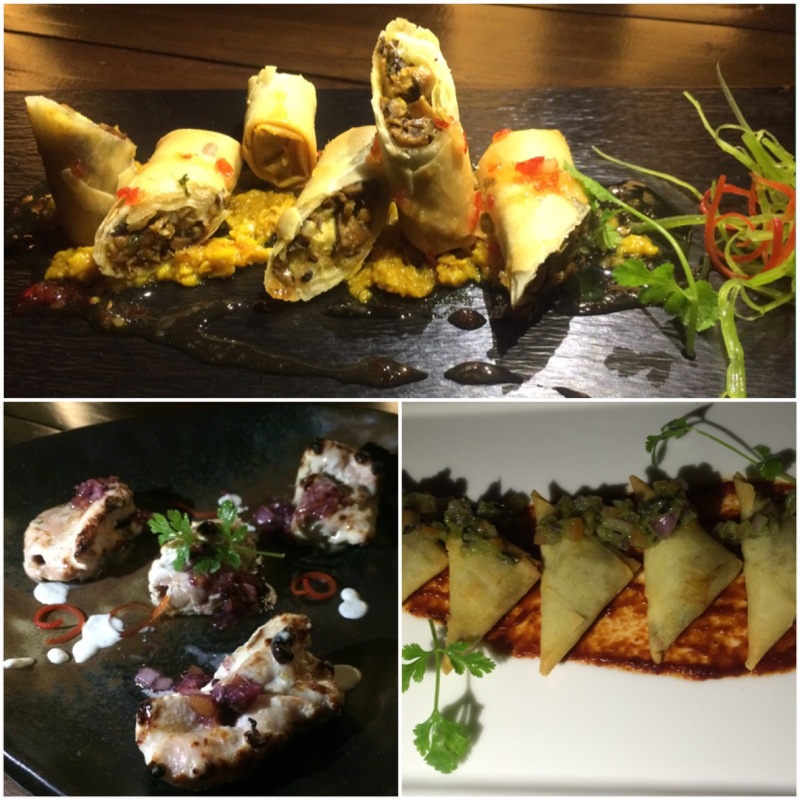 While creating the appetizers Chef Rohit Yadav has paid attention to taste rather resorting to too much gimmickry. So head for the airy heights and enjoy your favorite tipple at Vibe-The Sky Bar at Hilton Garden Inn Gurgaon which indeed has an unpretentious and relaxed vibe.